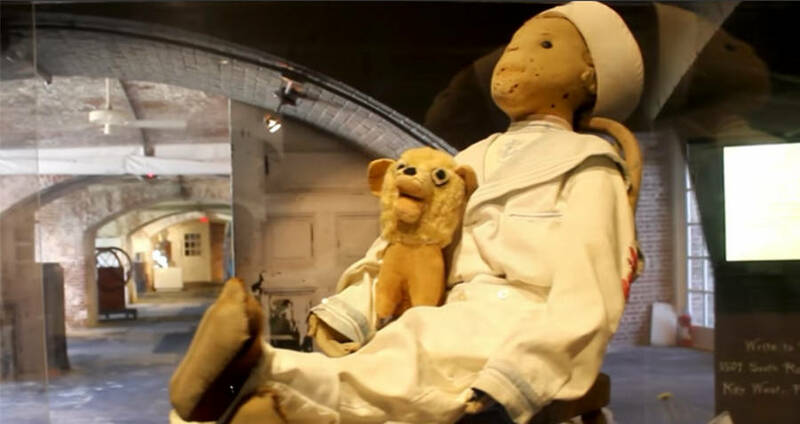 For almost 115 years, Robert the Doll has fascinated, spooked and mystified the public, and even today, strange things continue to happen in his presence. YouTubeRobert the Doll in his case at the East Martello Museum. Almost all old-timey dolls are creepy, but Robert the Doll might be the creepiest. For one, he’s life-sized and dressed in an actual child’s clothing. For another, his eyes are black buttons staring off into nothingness, and the material covering his face is so old there are literally holes forming on his cheeks. For another, the dog on his lap has big, bulging eyes, and a long tongue hanging maniacally out of its mouth. Also, Robert can apparently move across the room on his own, follow you with his creepy eyes, and wreak havoc on your life if you disrespect him. We’d say that last part is probably the creepiest. Robert the Doll was once shiny and new. Approximately 115 years ago, he was manufactured by the Steiff Company, the same toy manufacturer that created the first “teddy bear” for Theodore Roosevelt. To add to his creepy factor, the Steiff Company claimed that Robert was never intended to be a toy; instead, he was manufactured as a mannequin for a window display. The story of Robert the Doll really begins before he even was a doll, as how he ended up being sold as a toy remains a mystery. Also up for debate? How he ended up in the hands of his owner, a young boy named Robert Otto. The story of how Robert made it into the hands of the young boy has been whittled down to two legends. Believers in Robert’s supernatural abilities stick to the more mysterious version. That a maid of the Otto family, a young girl of Bahamian descent, imbibed the doll with voodoo magic and gifted it to young Robert as retaliation for wrongdoing. Those who are more skeptical of the doll’s gifts are more inclined to believe the “official” version of events, which was that Robert the Doll was purchased by Robert the boy’s grandfather, who brought him back to the United States and gifted him to his young grandson. 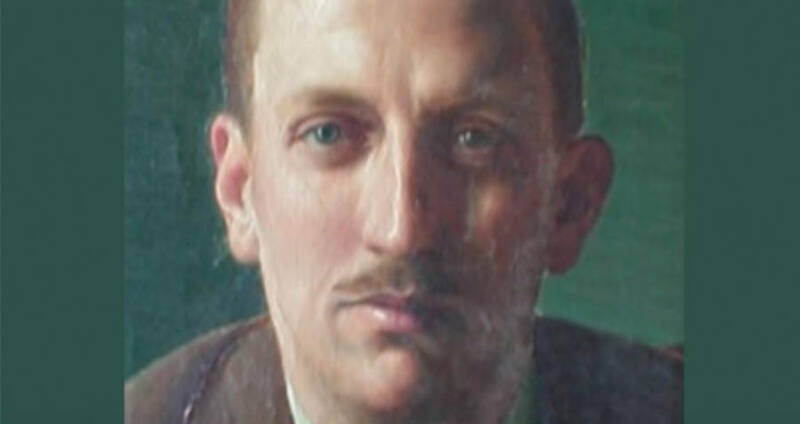 YouTubeA portrait of Robert ‘Gene’ Otto as an adult. Regardless of how he came by it, Robert the boy, who went by “Gene” after his middle name, instantly fell in love with Robert the Doll. He took him everywhere with him and dressed him in his own clothes -– a sailor suit he had once worn as a baby. Soon, however, strange things began happening around the Otto household. Things would move on their own and Gene began blaming frequent mishaps on the doll, insisting it was Robert who was at fault. At first, his parents brushed off his claims, but before long they too were noticing strange things happening around Robert, which continued as the child grew older. Once, a plumber who had been hired to make repairs around the Otto’s home claimed to hear children’s laughter, though Gene was not home at the time. When he looked around the room, he noticed that Robert the Doll had moved from one side of it to the other, seemingly on his own. YouTubeThe Artist House, where Otto lived as an adult. The top rotunda window is where Robert used to sit. 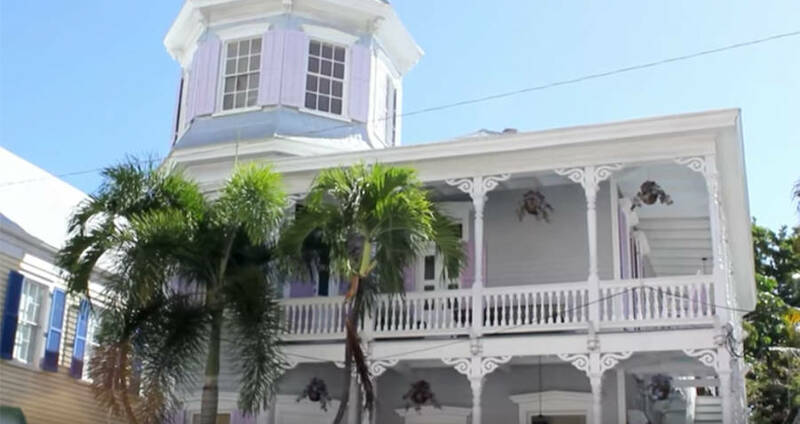 As he grew into an adult, Gene Otto moved into a large house in Key West known as “The Artist House.” As he was no longer being carried around by Gene, Robert the Doll took up a permanent position in a chair facing out of an upstairs window where he could be seen by the people on the street below. Though the placement was a playful one, people who passed by were soon avoiding walking past the house altogether. They would swear that the doll would disappear and reappear facing another direction, or that his gaze would follow them as they passed below him. Even Gene’s wife reported being unnerved by the doll, and eventually relegated it to seclusion in the attic. YouTubeA letter sent to the Robert at his museum. Upon Gene and his wife’s deaths in 1974, a new tenant moved into the home, a woman named Myrtle Reuter. Along with the home, Reuter came into ownership of some of its contents, including Robert the Doll. For 20 years she lived in the home with Robert, and for 20 years, unexplained movements and sounds would come from the attic room in which he lived. Finally, she donated him to the Fort East Martello Museum, citing only one reason for her donation – the doll was haunted. The museum took on the doll, assuming that Reuter’s claims were just the silly rantings of an old woman. The staff did not put him on display, instead keeping him in a storeroom until he could be incorporated into their exhibits. However, almost as soon as the doll arrived, so did numerous visitors wanting to see him. 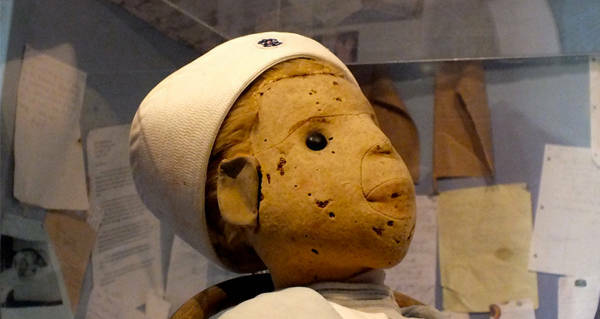 Despite no press being released on Robert, people somehow learned that the museum had a haunted doll. Letters also began arriving from people begging Robert for forgiveness or offering apologies for the disrespect they’d caused. Eventually, the museum appeased their visitors and put the mysterious doll on display. Today, Robert the Doll sits safely behind glass, rarely taken from his case. People still visit daily, hoping to catch a glimpse of Robert the Doll moving. Even at 115 years old, visitors claim that cameras malfunction in his presence and that electronic devices go haywire. After learning about Robert the Doll, check out Australia’s frightening doll hospital. Then, read about the history of the Teddy Bear.